A Junk-Foodaholic's Journey to a Healthy Lifestyle: The Biggest Loser Goes To The Grand Canyon! The Biggest Loser Goes To The Grand Canyon! Did you watch the show tonight? 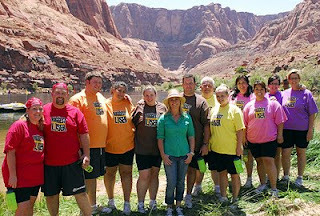 The Biggest Loser started out week 3 at the Grand Canyon. I love the Grand Canyon. I've been fortunate enough to make three trips - once as a child and twice as an adult. I love the beauty and the mind-blowing awesomeness of it. The downside of The Biggest Loser Grand Canyon road trip was the teams were left to their own devices (no trainers present) which meant the most strenuous exercise they managed was a bit of walking. So once they returned to the ranch, the trainers gave them all a good talking to and then proceeded to kick their butts back in the gym. 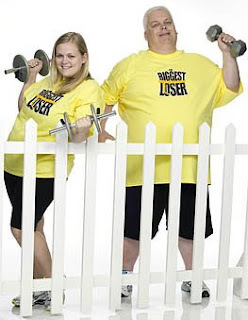 To keep this short, the yellow father/daughter team, Jerry and Coleen Skeabeck, lost the least amount of weight: 5 pounds. Coleen lost 7 pounds but Jerry gained 2 pounds. 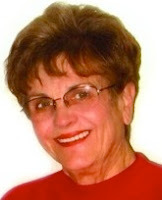 Out of all the teams, Jerry and Coleen had the lowest percentage of body weight lost, so they had to decide between them who would stay at the ranch and who would return home. Jerry told Coleen he wanted to go home so the decision was made. My favorite part of the show is at the end where they show the "Where Are They Now?" segment. They showed a video of Jerry (and yes, I teared up as usual) and he looked fantastic. He left the ranch having lost 20 pounds. Now after four months, he's lost 70 pounds! Jerry was on high blood pressure medicine when he first came to the ranch. He was so proud to announce that at the time of his leaving the ranch, he was no longer on blood pressure medicine. In the video, Jerry said that he was off four of the five cardiac medicines, that his knees are better, his back is better, and his reflux is better. As soon as I can get my hands on Jerry's "after" picture and video, I'll be sure to post it for everyone to see. I really got emotional watching the video. It's so darn inspiring. Together, Adam and Stacey Have Lost 116 Pounds! Biggest Loser is Back for Season 6!